Private label perfume, create your own brand, how ? There are in this world a lot of brands of perfumery goods, eau de parfum, eau de toilette or perfumes concentrated and thousands of own label brands already on the shelf, it is hard to make a difference or stand out with a new perfume, eau de parfum or other fragrance without copy existing goods. We give to you some advices to have a success in your new project of perfumes. You plan to create your labelled perfume, or a new private label perfume. Here are our Top 10 tips to make sure your next private label perfume – fragrance is a success. A/ What is your USP (unique selling proposition) and make your own business study ? The first thing to get right is why are you creating this brand in your place?. Just putting your business’s name on the label is not enough to make it sell. It has to earn its place on the shelf and be there for a reason so that customers are going to pick it up or even consider buying it. So it is important at the beginning to study strongly your market of perfume. For example, if you distribute in South countries or north countries, fragrances should be diffierents or if you sell in selective market as Sephora or in a mass-market, the target should be also different. The price study/target of the perfume also is important to know. What kind of people you will touch with your product ? Yes, you might be making an own label product, but you are first and foremost creating a brand. It is therefore vital you take as much time and trouble as any FMCG (Fast-moving consumer goods) brand would determine what you stand for, what your values are, who your target customer is, and make sure it is made, designed, packed and priced to meet their needs. In an other terms it comes to study the marketing of your perfume, guess a story to your brand, and give a final target to your project linked to an extraordinary design that touch the heart of your customers, in perfumes marketing, feelings are very important, so the design needs to be carefully studied. Brands don’t live in isolation. They go up against the competition in a continent worldwide market and in whichever category they are in. So make sure to identify who your competing brands are and what they stand for. Why should a consumer stop buying that brand to pick up yours instead? In shops your place or your advertising needs to be better than others brands, if your concept is well studied and your design very interresting and colorful for example according to a marvellous long last scent fragrance, should attract more buyers. The private label of perfume market is now so complex and established that there are now private label ranges to suit all price points and needs. Each with their own very distinct pricing structures. When developing a new perfume or cosmetic brand it is important to be clear which price bracket your product is aimed at. Example : Perfume (parfum, means concentrated fragrance) in selective market gets one minimum price, in 50 ml or in 100 ml, eau de parfum an other price and eau de toilette an other price, etc …. so you need also to analyze this kind of factors before to launch your own private label of perfumes. As well as price, consumers now expect private labels of perfumes that sit within those different tiers to look and feel right. Be it an economy, mid-priced or premium perfume private label, you have to make sure the design and the imagery of the brand sit neatly alongside other products at that same tier of pricing or you will stick out – and not in a good way. A perfume in private label is a global project not only a simple good to sell. First select the right designer able to understand your project of perfume(s). The same applies to which packaging the product comes in. Consumers have become accustomed to private label coming in different types of packaging depending on the tier they are in. If you are aiming for a luxury product then make sure the packaging looks and feels right. What is important on packaging ? f1/ First to have a functional barcode (shops will required it to you). Your supplier can propose it for you. f2/ Made in France in front of your packaging, for perfume helps a lot in sales. Specialists in economy say that “made in France” perfume writen, can boost commercial sales of 36 %. Of course to made in France it is little bit more expansive but at the end the sale’s target point increases naturally and can be reached efficiently. f3/ Technicals information in the right languages (as ingredients in conforming to each country regulations). f4/ Colors, metalizing, embossing, etc …. to make your packaging very or more attractive. f5/ A good name corresponding to a story linked to your global project. f6/ Find a good supplier to manufacture your own box and prepare your glass for filling operation. 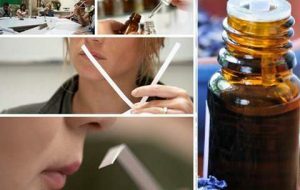 There is no relying on your branded supplier to get things right when it comes to the rules, regulations, labeling, and all the accreditations needed to make your perfume the right side of the law when it comes to developing a private brand perfume. Specially if you wish to export your perfume in several countries. In kind of countries certificates are expansive so you need to plan a budget for this point. Similarly, you can’t go back to your branded supplier for more stock if your new brand suddenly takes off. It is important you get your planning and volumes right and enough capacity in the supply chain to cope once your new perfume private label goes on sale through your selected distributors. So in any case be sure that your manufacturer of perfumes gets enough capacity of production linked to your demands. You might be very proud of all the work you have done to create your new brand of perfume, but don’t expect it to sell unless you do something about it. So make sure you build in a support package including good PR and publicity to help get your private brand off the ground. Advertising and marketing cost a lot so you need to plan a budget for it. Don’t forget the enormous role that staff within your own company will have in making any private brand of perfume a success. Make sure you communicate to all regional and store managers that they have a new brand to handle and supply with them the right POS and promotional materials for their staff. You need a realistic marketing strategy to get success on sales, the quality or only the good price is not enough today because there is a lot of perfumes in every countries of this world. Customers now want to see or find out as much as they can about the products they buy. So it is also important to build up a fact file of information about all aspects of your perfume, from how and where and when it was made, to the processes involved, the packaging and labeling used to how it got onto the Shelf. Information that can be supplied online or directly to consumers if asked as PDF files, or as brochures that you give freely. Exibition or web promotion in any case can be a good support to find new buyers. A budget is important also for this commercial action. You can also use our free questionnaire to help you to design your own perfume as a new private label. This entry was posted in Other perfumes, Perfume manufacturer, Private label and tagged Eau de parfum, Perfume, Private label. Bookmark the permalink.